As commerce is becoming more and more dependent upon technology, many companies are considering ways to move from paper-based transactions to transactions conducted solely by electronic means. If you operate or do business with such a company, one important thing to be aware of is the law surrounding the validity of electronic signatures. Electronic signatures are primarily guided by the Federal Electronic Signatures and Global and National Commerce Act (the “E-Sign Act”) (15 U.S.C. §§ 7001, et seq.) and the Uniform Electronic Transactions Act (“UETA”), which is a “uniform law” that has been enacted in most states (including Minnesota). The E-Sign Act and UETA mimic each other in many respects, were both designed to promote the use of electronic commerce by permitting the use of electronic signatures in connection with contracts and other records and transactions, and both generally state that a contract bearing electronic signatures is valid. However, there are various important steps to take with regard to electronic transactions to ensure that the requirements of the E-Sign Act and UETA are followed. First, all parties to the transaction must consent to the use of electronic records and electronic signatures instead of paper documents and traditional signatures. 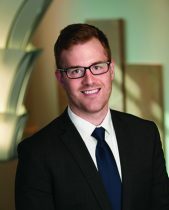 Whether consent exists will depend upon the specific facts and circumstances of the transaction in question, but generally speaking, consent may be expressly stated or implied from the circumstances. Second, any form of an electronic signature is sufficient to form a valid agreement. The “signature” can take a number of forms, including public-key encryption and third-party certifying authorities; e mailed text or digitized images; passwords; personal identification numbers; biometrics such as voice prints; and the like. 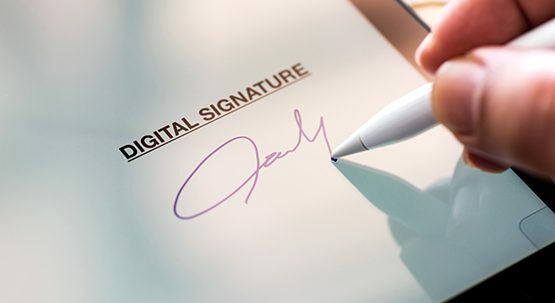 The key is that the electronic signature represents the intent of the person to sign the record and the logical association of that electronic signature with the record. Finally, procedures must be used to ensure the integrity and security of electronic documents (i.e. who sent or may have altered it?) and electronic signatures (i.e. does it belong to that one particular person?). This “attribution” of an electronic signature to a specific person may be established through firsthand observations or by utilizing certain security procedures. Such security procedures include, for example, unique login IDs and password-protected access. While the above is not an exhaustive list of the important provisions within the E-Sign Act and UETA, they provide a starting point for one’s inquiry into the legal provisions governing electronic transactions. Establishment of the intent of the parties to be bound by the electronic signature. Establishment of attribution to a particular individual and/or representative of a company. Maintenance of a record of the signature(s) to a document and proof of non-alterability after a signature has been affixed to a document. Secure storage and access processes. Provide an audit trail which identifies the signatory, the document that was signed, and when the document was signed, including date, time, and sequencing of events. Make electronically signed documents inalterable. Ensure that there is a credible custodian of the records to manage the retention process. 3. Consider contracting with a third-party vendor that specializes in electronic signatures (for example, DocuSign) and can assist you with implementing electronic transaction procedures.